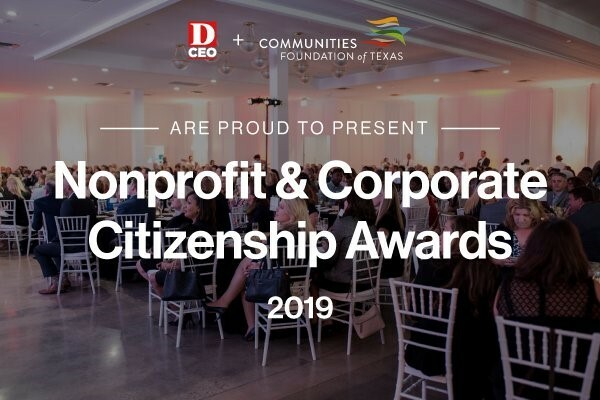 D CEO and Communities Foundation of Texas will honor professionals and organizations in the nonprofit world that continue to make a positive impact on the community, often under difficult financial constraints at the second annual Nonprofit and Corporate Citizenship Awards. They will also honor the efforts of businesses and corporations that support our local nonprofits, from executives volunteering their time on boards to lending support through financial donations, in-kind services, and sponsorships. Nominations are open until May 1. Note: Organizations can submit in (or be nominated in) more than one category, but separate entries will need to be made for each category. All finalists will be recognized at the D CEO awards event and will be featured in the August issue of D CEO magazine. Nominate and spread the word to others who may be interested in nominating local nonprofits and companies before nominations close on May 1. Don’t miss out – learn more about the categories and nominate!